When I reviewed CD Projekt Red's The Witcher 3: Wild Hunt back in 2015, I had to play the game on USG's debug PlayStation 4. A debug unit is allowed to run early code, and it used to be the one way publishers would send review code. I burned through nearly all of The Witcher 3 during my review period, but there's one problem: the debug unit can't be tied to a normal PlayStation Network player account. When The Witcher 3 properly launched, I loved it so much that I bought it again on PS4. Then I proceeded to never play it again. I love The Witcher 3 a great deal. 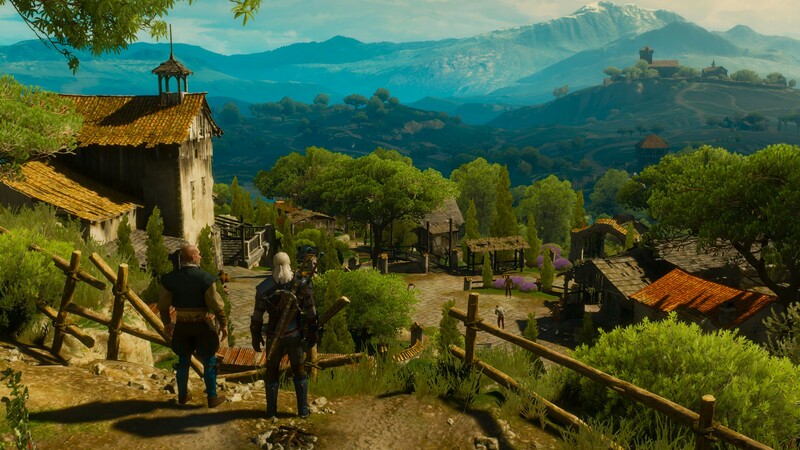 When the Hearts of Stone and Blood and Wine expansions came around, I dove into them hungrily, this time on a seperate GOG account I had to create for the review. I bought both expansions and the base game on Steam. I purchased it again on PS4 with the Game of the Year Edition. And yet, I've never touched the original game or its expansions outside of my time reviewing them. That first PS4 version sits on my bookshelf, collecting dust. It's still unopened. Every now and then, I pick it up and look longingly at it, then put it back. That's because the The Witcher 3 is at least a good 50 hours of playtime, and to really savor it is going to take longer than that. I burned at least 75 hours on the debug PS4 copy, so I look at the unopened PS4 game and the undertaking fills me with a heady mix of desire and dread. It's just too long. Over these past two weeks, I've played two Capcom throwbacks to an older era. 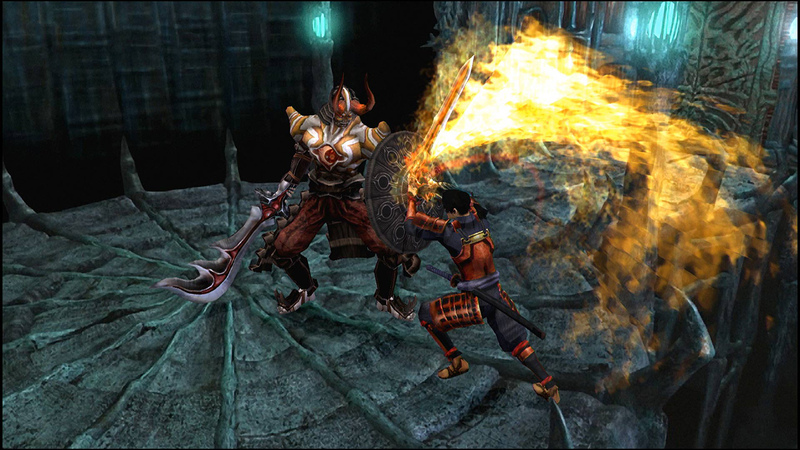 The first was Onimusha: Warlords, a straight remaster of the 2001 release. The second was Resident Evil 2, a top-to-bottom remake of one of Capcom's best games. And the wonderful fact about both is that they're under 20 hours of playtime. Onimusha can be polished off in 5-7 hours, while Resident Evil 2 is around 12-15, playing both campaigns and the Survivor modes. Many of my favorite games of 2018 were under the 20 hour threshold-around 30 hours constitutes an arbitrary mental line where a game officially becomes "long" for me. Dead Cells is meant to be speedrun; you can beat it in under an hour once you have everything down, but individual runs are shorter. Marvel's Spider-Man is around 15 hours for the main story campaign, and you can Platinum the whole thing in a clean 25 hours. God of War's story is 20-25 hours, but the truth is some of the back-tracking could be cut to get that to a leaner 18-20. Video games have ballooned in playtime as developers and publishers has moved towards the games as a service (GaaS) model. Five years ago, I wrote about the rise of the lifestyle game, a title that's meant to consume the next weeks and months of your life. This used to be relegated to massively-multiplayer online (MMO) or online competitive games, but over this generation, everything is beginning to take on the same properties. Look over the biggest games of the last few years, for example. Red Dead Redemption 2 is around 50-60 hours for the story campaign, and there's a whole map full of additional quests. Plus, Red Dead Online is waiting for you. Assassin's Creed Odyssey is around 45 hours of play for the main campaign, and that will still leave 60 percent of the map untouched. 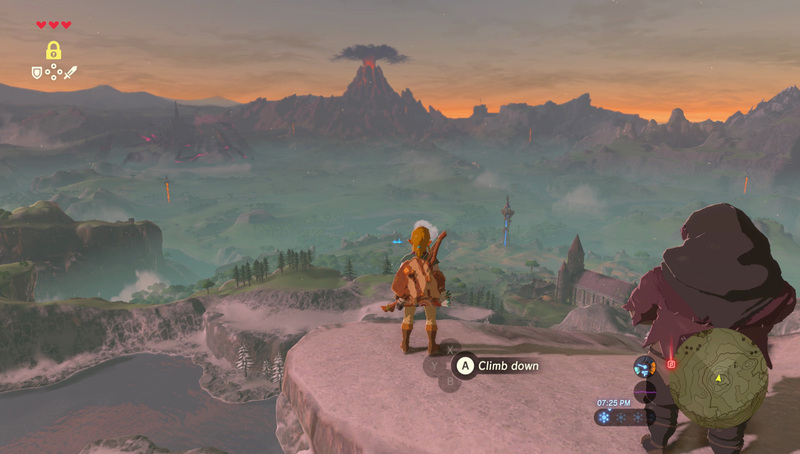 The Legend of Zelda: Breath of the Wild can be beaten in an hour with enough skill, but an average run for the main game is around 47 hours, according to HowLongToBeat.com. I love all these games, but the sheer hours ahead can look daunting. I'm a special case somewhat, in that gaming consumes my life because I'm the Reviews Editor of USG. I rarely have time to play games that I'm not reviewing. I have a backlog of games that I've purchased and never started (or barely start), because they're just too long: Persona 5, Xenoblade Chronicles 2, Dragon Quest 11, Octopath Traveler, Torment: Tides of Numenera, and Pillars of Eternity. (If you're noticing a theme, it's because Kat and Nadia tend to take RPG reviews, so I don't get a chance to play them.) I've put my money down, day one, on games I've never touched. I'm not alone though. Most of my friends have moved on in their lives and their leisure time is limited. The lifestyle game model means they'll buy a single game, and then be consumed in that game for an entire year, or longer. For one friend, it's The Legend of Zelda: Breath of the Wild. For another, it's Destiny 2. When a title is chosen as that "one game," it's great for that publisher, but the side effect is a large part of the audience never leaves to try other games. Onimusha: Warlords and Resident Evil 2 felt great. I was scheduled to review Resident Evil 2, but couldn't due to attending PAX South 2019; it's so short though that I probably could've squeaked it in though. And I don't feel unsatisfied by either game. I got my hours of enjoyment out of them and I'm glad to move onto something else. I can keep plugging away at 4th Survivor or Tofu Survivor in Resident Evil 2, but I really don't need to. In contrast, the Anthem demo went live today and that game is like a looming spectre: like the Nothing in Neverending Story, a darkness that wants to consume all my free time. There are benefits to shorter blockbuster experiences. Sony succeeded last year with two prestige games, both on the shorter side of average game lengths. Shorter games means more people can play and enjoy the entire thing. If you're delivering a narrative, being able to see it through to the end increases player satisfaction, which means they're more likely to turn around and tell someone else to play it. Games like Spider-Man can pull in a host of new players. Over this generation, a number of developers and publishers died, and as a result it feels like they're fighting harder for a limited amount of mindshare from consumers. There's money in keeping a player engaged for months: that makes them more likely to buy downloadable content (DLC) or microtransactions. But there's also something to be said in allowing them to get in and get out too: They're satisfied and left hungry for the next game. I loved Resident Evil 2 and I'm ready and waiting for whatever Capcom is going to bust out with Resident Evil 8, rather than being tired of the next game coming over the horizon. And I'm sure it's cheaper for developers and publishers as well. Instead of trying to create 30, 40, or 50-plus hours of content for a player to enjoy, you can get leaner and create a great 15-20 hour experience. Titanfall 2 has one of the best first-person shooter campaigns in some time, and it's only 5-6 hours long. Hell, you can get denser, like the Yakuza Studio, who pack a ton into a very small space; Yakuza 6's main story is around 15-20 hours, but if you want to live in that world (and people do), it can grow from there. There is space for shorter triple-A games. There's a need for it. Publishers and developers, you don't need to fill up your game with 40-60 hours of content delivered in the highest fidelity. You just need to make the game long enough to be satisfying. Do that, and players will be ready for the next release, and the one after that. So, more short games please-my backlog is already bursting.